Can you identify the young man in this photograph? 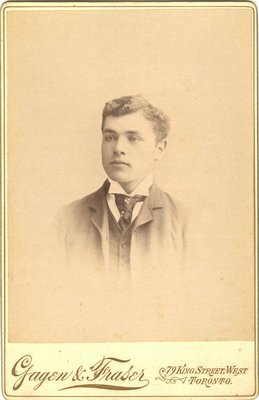 A photograph of a self-satisfied young man from the photo album belonging to Margaret McCague Wright and her husband William Ashford Wright. Gagen & Fraser is listed as operating from 1878-1896 in Toronto.